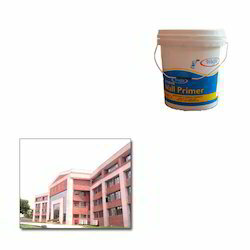 We are well known manufacturer and supplier of an extensive range of Exterior Wall Primers for Educational Institutions. We offer it to our clients at affordable prices. For Old surfaces, Make sure the surface is smooth and free from loose or powdery particles by scraping. It depends on surface condition / preparation and porosity of the surface. Looking for Exterior Wall Primers for Educational Institutions ?